"On the Internet Nobody Knows You're a Dog" Is this famous New Yorker cartoon still true? Twitter is doing verified accounts. Facebook claims everyone using their "real name" gives strong social validation 'proof'. Equifax is validating age with information cards (digital tokens). We will explore the current trends and its implications for the future. Wow, thanks for all the legwork and voting recommendations, Beth! 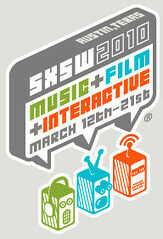 Lots of great stuff to look forward to at next year's SXSW Interactive. Two more to add if you don't mind? "A Web site gives a nonprofit access to data that makes old school direct marketers salivate. But many organizations find themselves getting bogged down in producing graphs every month, obsessing over drops in pageviews, throwing their hands up on the air, and deciding they don’t have enough resources to maintain this kind of analytics analysis. Stop obsessing about the small stuff, and start learning about creating a goal-oriented, actionable analytics plan that can help your Web site thrive." "Google practices it with AdWords. Facebook learned it the hard way. The truth is, your site isn't there for you or your board; it's there for your users. All the clever marketing tricks in the world won't win their loyalty if you don't give them a little respect." So looking forward to a NPO roar at SXSW! Join us as we explore trends and tools in mobilizing and facilitating community engagement and community service. There is more national support for service than ever before and interactive companies are stepping up to the plate to get more people plugged in and giving back online AND in the real world. 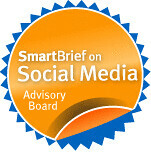 Doing Good online, mobilizing community action. Hi Beth - Just wanted to thank you so much for including our panel (I'm on the "Socially Conscious Geek" panel with Leif Utne and Noah Scalin). I'm really excited about how many nonprofit-related panels are up for consideration this year… feels like a very rich selection, though it makes it hard to choose! We've also got two great panels up for vote that will focus on buidling mobile applications and Web sites for nonprofits. We're excited to be able to empower people to use these tools to benefit some really great organizations. ...which is titled in dramatic SXSW fashion... "Evolution, Creation and Extinction (of the organization)"
The basic idea being what can/should newer and older organizations learn from one another to succeed in a changing media/community environment? Are older organizations, which built media and communications programs around print and other traditional outlets, evolving well enough/fast enough and what does it mean if they're not? And so on. Dang, there are a ton of great panel ideas out there. Mobile is the next great platform for engaging volunteers, and the timing of its arrival is excellent, given the “wicked problems” we face. The enhanced capabilities of today’s mobile devices and the power of inventive applications are creating a new generation of “iPhone volunteers” who may well change the world! The panel can be found at http://www.bit.ly/iHY1T. I would appreciate it if you would help me spread the word about it. Thanks! Great list Beth! Thanks for pulling together. This is a big help in voting! Citizen journalism and the little NGO that could. See what happens when citizen journalists (you) team up with International NGOs (non-government organizations), create and share media projects with their online and offline communities. We will present projects created by travelers from our India and Vietnam trips, what they did with their content and what happened next.